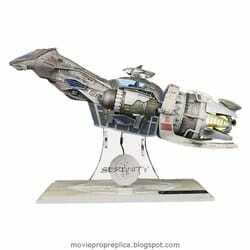 Serenity Movie Prop Peplicas, Figures, Toys and Collectibles! From the Manufacturer: One of science fiction's most beloved spaceships isn't a gargantuan battlecruiser or a sleek starship cruising the galaxies. It's the workhorse Firefly-class transport, well past her prime with hardly a peashooter to defend herself, named Serenity. QMx has recreated Serenity in 1:400 scale, measuring appoximately 8 inches long, made of dozens of parts, some as small as a millimeter. 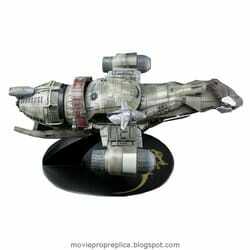 Her design, created using the shows actual CG files, matches the Firefly TV series version of the ship in every detail. From the Manufacturer: Years of development have gone into creating this entirely new, non-firing replica of Malcolm's pistol. Using a mold of the original stunt pistol Qmx has created a highly detailed piece, from the grips to the trigger to the barrel. Measuring 14 inches from the tip of the barrel to the back of the hand-painted simulated wood grips; the Mal pistol weighs in at just over a pound, giving it a solid heft. The body is cast in polystone and composed of several parts, each of which is metal-plated. 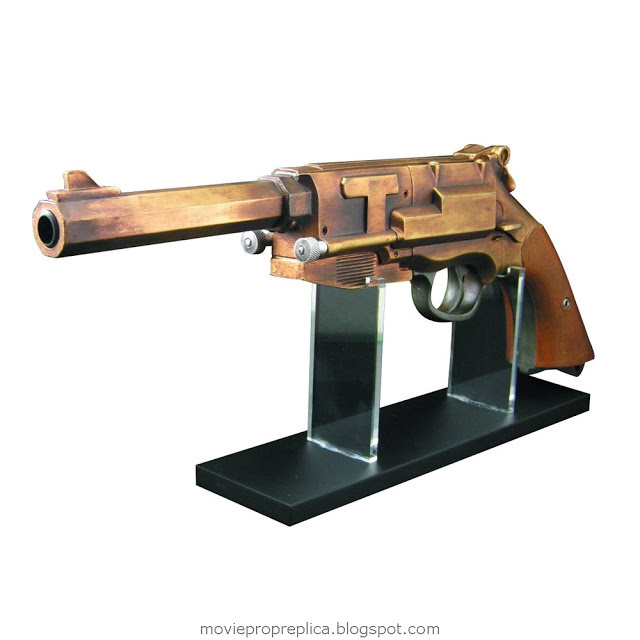 The pistol is then painted and weathered to match the antique brass color of the original hero prop, prior to final assembly. Includes a black display base and two floating acrylic risers perfect for showcasing your Malcolm Reynolds Metal-Plated Pistol Replica. From the Manufacturer: When it came time to develop this replica, we could do no less. Every bolt, every seam and every asymmetrical plate has been recreated with exacting attention to detail in this first and only screen-accurate replica of Serenity. Years of intense effort have gone into all aspects of this model, from the model sculpture built from the movie special effects master files to the paint job created to match not just the colors of the ship, but the materials as well. 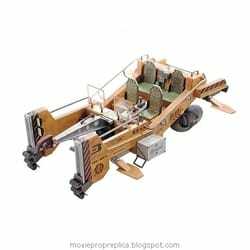 From the Manufacturer: Quantum Mechanix has produced the first ever exact scale model replica of the Flying Mule as seen in the movie Serenity. Measuring 14.5" x 10.75" x 4.5", the Mule replica is a highly detailed model, hand-painted to match the movie vehicle exactly - right down to the emblems and decals. Using the studio-supplied blueprints and AutoCAD model, plus extensive photographic reference, this Mule replica is the last word in accuracy. Included with the Mule replica is a cast resin diorama measuring 15.5" x 10.75" x 1". This hand-painted base simulates the sandy surface of some Border moon perfectly. The QMx Mule can be displayed in one of two modes: CGI mode, where two heavy-duty acrylic posts are used to hold up the Mule, simulating the hover effect. And Backstage mode, with a replica of the dolly used to store the Mule between shots you can set your Mule on. ​The series is set in the year 2517, after the arrival of humans in a new star system and follows the adventures of the renegade crew of Serenity, a "Firefly-class" spaceship. 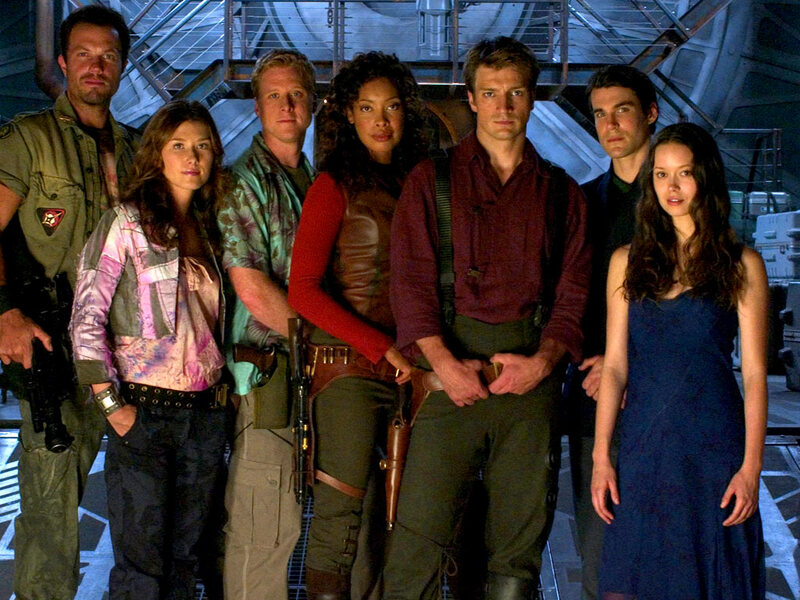 The ensemble cast portrays the nine characters who live on Serenity. Whedon pitched the show as "nine people looking into the blackness of space and seeing nine different things". A former sergeant on the losing side of the Unification War, he struggles to survive free and independent of the Alliance. A former corporal who fought under Mal in the war, and Wash's wife. She is fiercely loyal to Mal, whom she addresses as "sir". River is a seventeen-year old psychic genius. She and her brother are taken in by the crew of Serenity after he rescues her from an Alliance Academy where she was subjected to medical experimentation and brainwashing. The Alliance's pursuit of River acts as the film's motive. However, more abstractly the film is the "story of Mal as told by River". A Companion who formerly rented one of Serenity's shuttles. In one of the Operative's traps, Mal is reunited with Inara at her training house, and the two escape back to Serenity.